Crowd Pleaser 25 Points You call that a kiss? 10 Points Survive one assassination attempt! 10 10 Points Get on a magazine cover! 11 25 Points Get a statue! 8 25 Points Survive two assassination attempts! 9 50 Points Survive three assassination attempts! 12 10 Points Secret Medal: Unlock this medal to view its details! 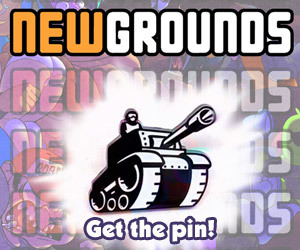 13 10 Points Secret Medal: Unlock this medal to view its details! 14 10 Points Secret Medal: Unlock this medal to view its details! 10 Points Knock an opponent out of the ring three times in one match. 25 Points Deliver at least 80 damage in one aerial combo. What is this, the 50's? 10 Points Secret Medal: Unlock this medal to view its details! 5 Points Spend 1000 gold. True Hero 5 Points Reach rank 20 with any character. Whirling Combo 5 Points Kill 2 enemies with one circular strike. Thirsty No More 25 Points Break 100 barrels. Birthday Suit Pub Crawl 50 Points Start and finish Act 1 Mission 2 (1-2) without any items equipped. Burn, Fire, Burn! 50 Points Kill 5 enemies with one meteor. Epic 50 Points Have all equipment slots used with only epic items. Halfway Through 50 Points Complete Act 1. Ten Chicks 50 Points Turn 10 enemies into chickens. Don't Even Try! 100 Points Complete the first two areas in Impossible mode.